Duration: 01 - 30 March 2016. 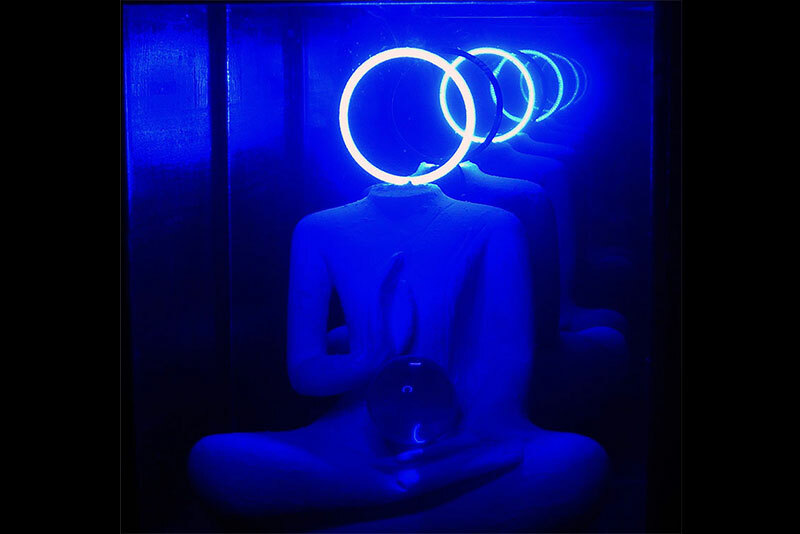 Erick Gonzalez, renowned Franco-Guatemalan artist resident in Phnom Penh, exhibits his latest creations consisting in objects, installations and paintings at Bophana Center. Since 2006, the artist has been exhibiting his works internationally: at UNESCO headquarters in Paris, the Council of Europe, the Arts Club in London, the Art Biennale of Paiz and Juannio in Guatemala, and in Spain, Bulgaria, Germany and Norway. Living in Cambodia since 2015, Erick Gonzalez has been deeply influenced in his creation by the discovery of Khmer culture and history: drawing parallels with the history of Guatemala, his country of origin which experienced genocide in the 80s and is currently in a reconstruction process, the artist strives to bring his Cambodian experience into tangible form and image. The artistic creation represents for the artist a process of research about a given theme, and the exhibition serves as a sharing platform. This time, Erick Gonzalez’s research has been about Cambodia. The audience will retrace his personal trip from Guatemala to Cambodia through “altered mirrors” which reflect the inner landscape evolved by the artist between these two countries.